Dakota is a graduate of Kansas State where he received his Masters in Kinesiology. He is a Certified Strength and Conditioning Specialist through the National Strength and Conditioning Association. 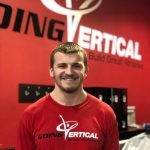 Dakota has always loved sports which led to him having a passion for the process of improving sports performance through strength and conditioning training. 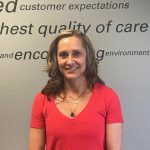 Dakota has coached at the Junior High and High School levels, teaching the fundamentals of strength training to athletes of all backgrounds. He also interned with the Women’s Soccer and Volleyball strength and conditioning programs at Kansas State. His internship led to an Assistant Strength Coach position, where he assisted in the strength training programs of five Olympic team sports. In addition to his collegiate background, he has spent time as a personal trainer. Teaching functional movement training and the importance of an active lifestyle for all ages.